We’re an Alaska Native Corporation with strong ties to our land, our people, and our past. Just like our ancestors, we’re always striving to build common strength. Courageous, resourceful, resilient—these qualities have defined the three cultures of Bristol Bay since before they encountered one another. Centuries ago, the Eskimo, Aleut, and Indian people ventured from their homes, tackling tough terrain in search of resources. Along the way, they discovered each other. Differences in language and customs eventually gave way to mutual support and shared strength as our earliest ancestors united to form a thriving network of traders. 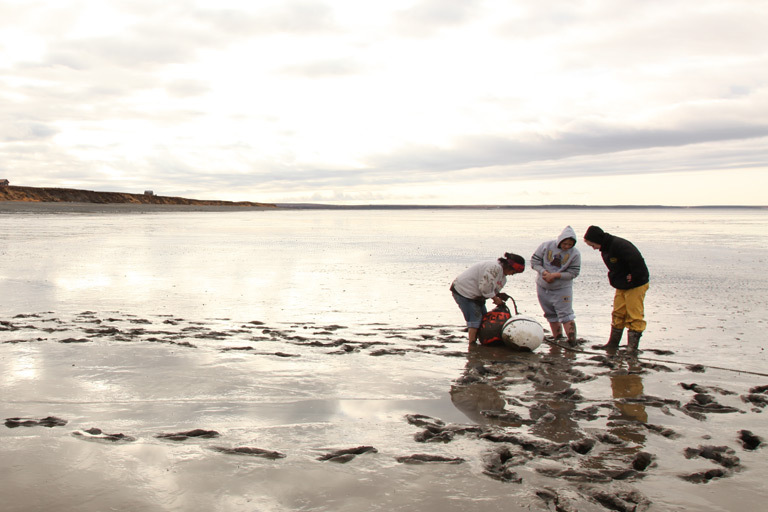 Today, BBNC embodies the bold, cooperative spirit of our ancestors, not just in Bristol Bay but far beyond. In that sense, we mirror our more than 10,000 shareholders, who are tied to this magnificent region whether they live in Anchorage, Fairbanks, Seattle, Puerto Rico, New Zealand, or points between. As a corporation, we seek out opportunities for growth across the globe. We convert our profits into benefits for our shareholders in the form of distributions, economic development, employment, and educational opportunities. It’s not an accident that our forward-looking corporate strategy leads to the greater good of our shareholders. It’s our commitment. As an Alaska Native Corporation, our first priority is to our shareholders. It shows in our corporate values as well as in our philanthropic activities. Through a robust corporate giving program, we’re proud to contribute to the vitality of the communities in which our shareholders live. Our heritage is what guides every step of our corporation’s path. BBNC’s mission, vision, and values reflect a deep reverence for the land that has sustained our people for thousands of years—and a commitment to enhance the lives of our shareholders in every way we can.